It's been mainly hit & run NQ trading for me last few sessions, 4 lot (2-1-1) positions. Over the past decade, there have only been four times when the weekly PPO of the NDX:SPX ratio has dropped below the centerline (red circles). 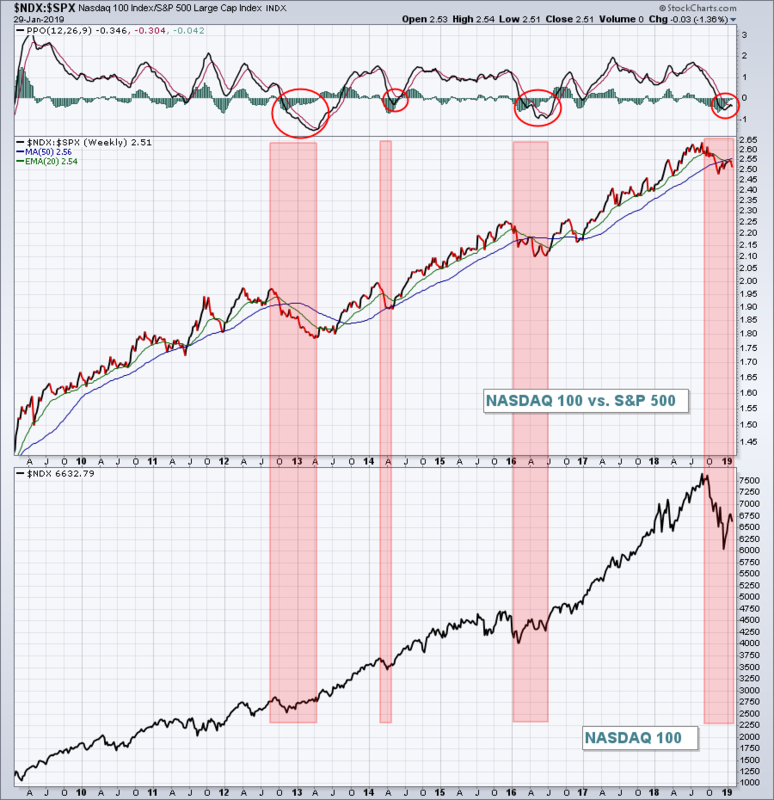 The red shaded areas highlight the absolute and relative performance of the NASDAQ 100 during these periods. When the PPO is negative and the ratio is beneath its 20 week EMA, the best that the NDX does is consolidate. 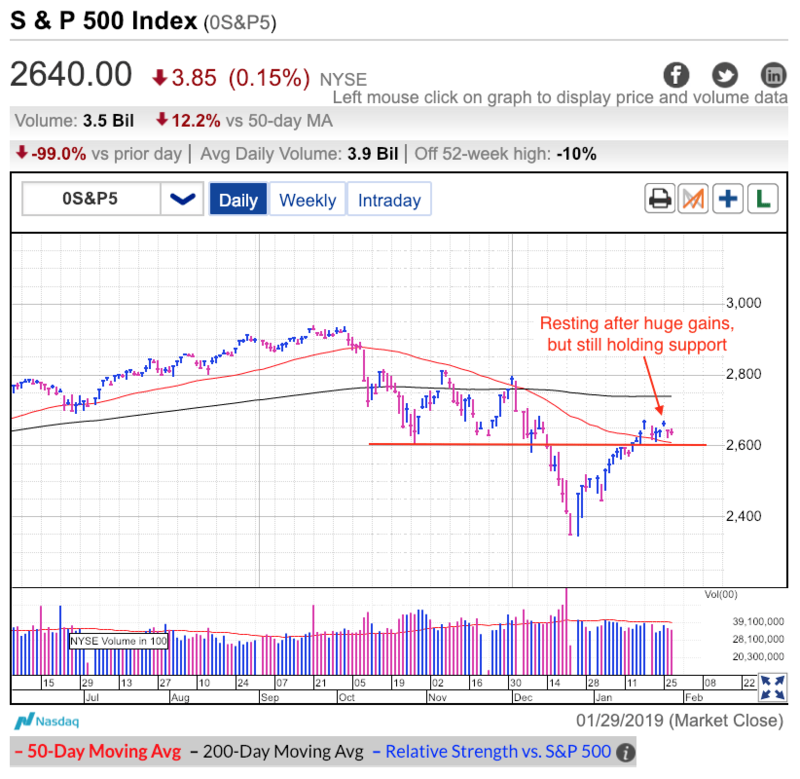 One worry I have is that this very influential index (NDX) is turning back down vs. the benchmark S&P 500 and is currently below the 20 week EMA. This relationship needs to change for the next bull market to emerge. No recession in 2019, maybe start of one, slower growth but economy still relatively long. 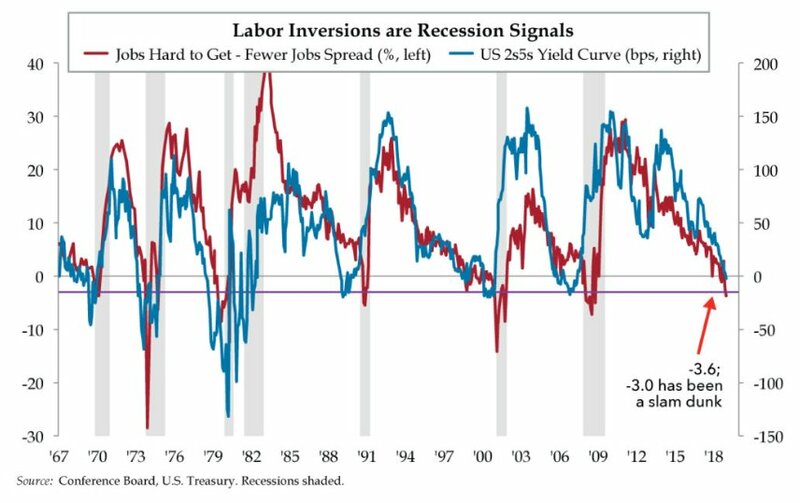 US consumers' outlook on labor mkt has inverted, generating another recession signal, Quill's @DiMartinoBooth says. Jobs hard to get-fewer jobs 6 mth spread dropped to -3.6%, lowest since Oct2008. Since 1960s, recessions have followed 6 of 7 times labor mkt inversion sank to -3. I cannot remember ever having so many opening gaps up and down in the S&P like we've seen in the last week and change. I'm sure we've had 'em but wow. In the last week we have exited then re-entered then exited. Maybe it is time to stop using this phrase? If it manages to hold above ES 2650 though tomorrow, then may be something else going on longer term. Edited by redfoliage2, 30 January 2019 - 12:28 PM. 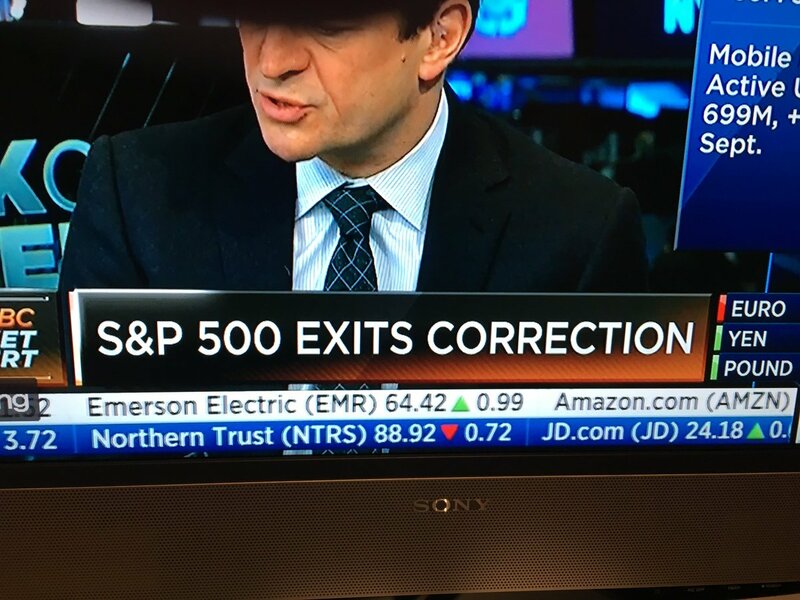 The post-Fed reaction is important. Also, the Trade talks progress. But, all that can disappear if earnings are not as expected. In the interim, just buy NQ, exit in any intraday pullback, buy again....hit & run.... no waiting around. QQQ 165 & above is a shorting level for me. 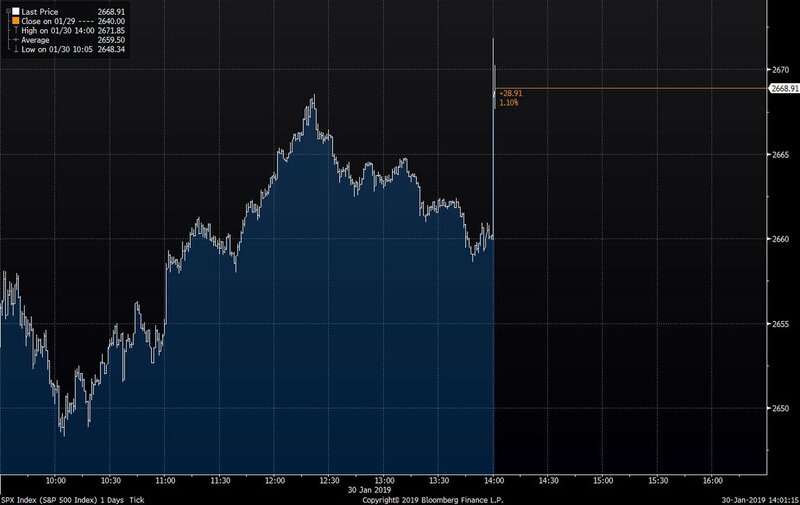 FED to markets: YOU ARE NOW FREE TO RALLY! For Powell, it is a major CYA: don't blame me or my pals at the FED if the market goes down! If now the TRADE TALKS put can materialize and a few good earnings reports from the big guns, we could see SPX 2800 within 2 weeks! WHAT A GREAT SHORTING OPPORTUNITY!